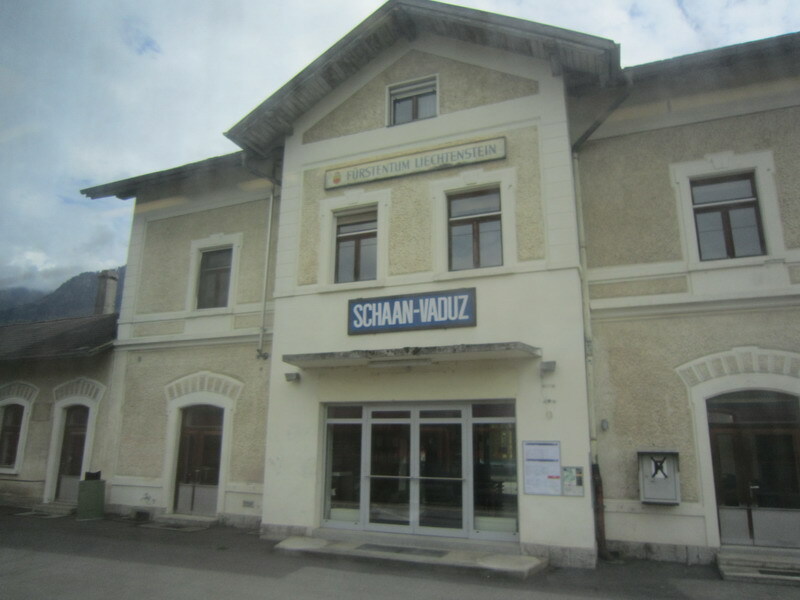 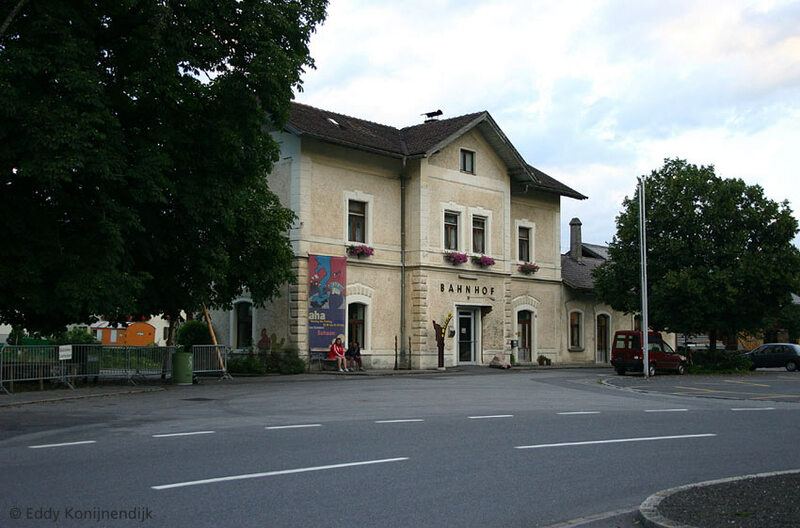 Schaan-Vaduz Station in Lichtenstein is located on the ÖBB line from Buchs in Switzerland to Feldkirch in Austria. 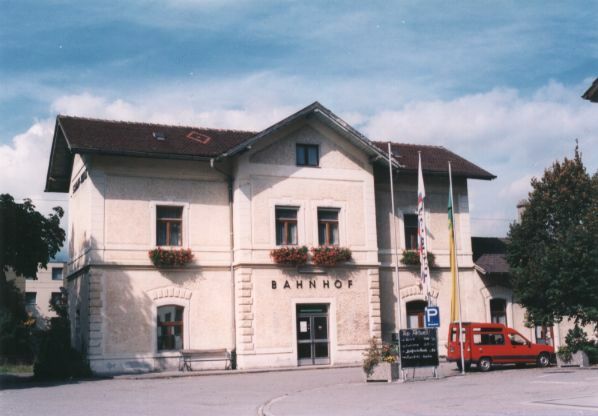 Photographed from Montafonerbahn railcar ET10.110 working train R5741 on Friday May 16th, 2003. 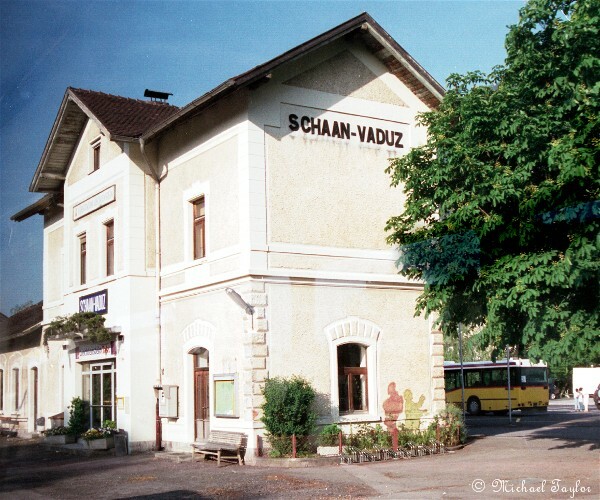 The station of Schaan-Vaduz (ÖBB), 06-08-2002. 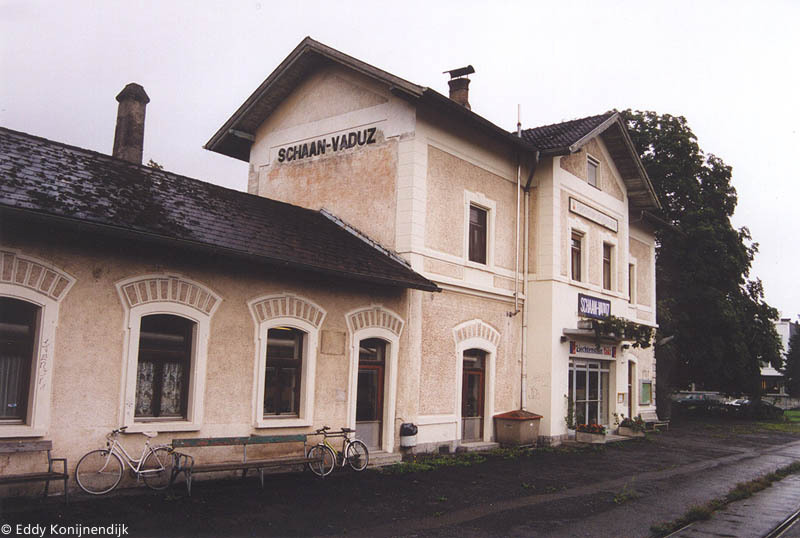 ÖBB Schaan-Vaduz Station in Liechtenstein.